PORTLAND – Alarmingly, one in five children in Oregon are food insecure, meaning they have limited or uncertain access to safe and nutritious food. To help combat that reality, Regence BlueCross BlueShield of Oregon employees spent the week of August 4 volunteering with Oregon Food Bank. The outcome? Regence employees’ donations of time, food and dollars generated more than 25,000 meals for hungry Oregon kids and their families. With its strong focus on health and wellness, Regence has partnered with Oregon Food Bank for more than a decade to fight hunger throughout the state. 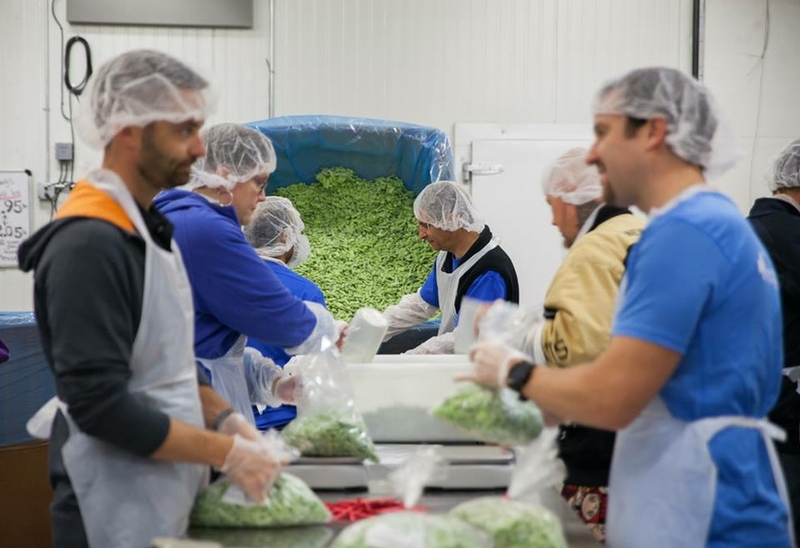 Collectively, Regence has donated more than $500,000 to Oregon Food Bank since 2010, and employees have donated more than a thousand hours of volunteer service to the organization over these five years. Regence’s 2014 partnership with Oregon Food Bank is focused on expansion of the food bank’s Childhood Hunger Coalition “Screen and Intervene” medical clinic project and the creation of a peer-to-peer fundraising tool to enhance charitable giving opportunities. To learn more about Oregon Food Bank and join Regence in the fight against hunger, visit www.oregonfoodbank.org.